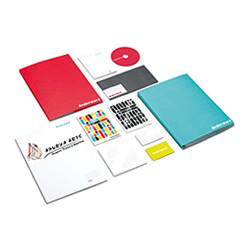 “First impression is always the last impression” – this is very true in the case of corporate identity design. Your organization’s corporate identity or brand image will give you an edge over your competitors by creating a brand image to your customers’ mind. In no time you will realize that you are dominating the market with a strong threshold of clients worldwide. In short, the corporate identity design will be more like the face of your company and will reach places where it’s not viable for you. It will do the talking for you and your company. Our graphic designers will create your brand identity designs in such a way that it creates an everlasting impression on your clients’ mind and leaves an imprint forever. At Webaholic, we can brand your company through a different medium of identities like visiting card, letterheads, envelopes etc. We believe that a unique design not only enhances your company’s image but also creates it’s own space in your client’s mind. We understand that having a corporate identity design is equivalent to ‘Branding’. 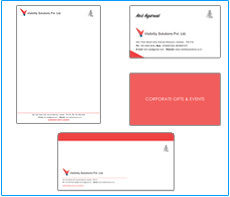 Business Card Design: Introduce yourself and your company to a corporate world with a custom business card design which reflects your dignity and reputation. 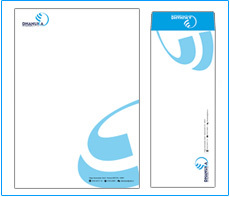 Letterhead Design: Build your credibility and communicate with other organizations with a professional letterhead design. Envelope Design: Cast your image to your clients with a creative envelope design and establish your brand image. We know different people have different tastes, that’s why to provide you 2 design concepts to meet your satisfaction. We never use third party or copied templates, our designs are unique and tailored to your business. 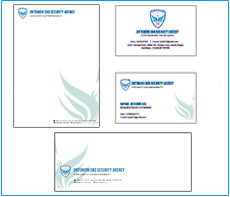 We create brand identity designs depending upon the type of paper you will use for printing purposes. And if you are searching for a corporate identity design company in Kolkata we can help you to create your unique identity. Just contact us and we will take care of the rest.